The FNS™-9 is the latest handgun innovation by FN Herstal. It features a pre-loaded striker mechanism and a manual safety, hence combining fast and accurate shooting and optimal safety. Additionally, the well thought out design of the FNS™-9 results in a stable, highly ergonomic and ambidextrous pistol that is easy to operate. The pre-loaded striker mechanism of the pistol means that energy has been pre-loaded partially. This ensures a short and light trigger pull identical for all shots allowing fast and accurate shooting. The FNS™-9 has a low bore axis providing minimized perceived recoil and reducing muzzle rise for a perfect weapon controllability. 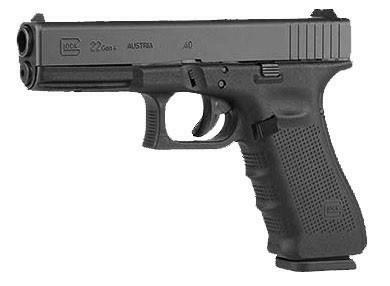 The handgun features a newly designed three-dot combat sight system with a deep rear sight notch which significantly improves the accuracy. The FNS-9 features four major safeties: Trigger, Firing Pin, Drop, and Out-Of-Battery. TRIGGER: The two-piece trigger prevents the pistol from firing without pressure on the trigger. The rear of the lower trigger piece catches on the frame if the mechanism is moved without pulling the trigger. FIRING PIN: The firing pin safety prevents the striker from passing and is lifted out the way when the trigger is pulled. DROP: Part of the fire control housing prevents the sear from rotating down to release the striker unless the trigger is pulled. OUT-OF-BATTERY: When the slide is not fully forwards the sear cannot release the striker even if the trigger is pulled. The FNS™-9 pistol comes standard with a large number of ergonomic features, including ultra non-slip checkered grips for better purchase, front serrations for easy press check and slide manipulation, and a backstrap insert for quick adaptation of the pistol to the shooter’s hand size. All operating controls are fully ambidextrous, including the slide lock, and magazine release. The FNS-9 features a 4.25” hammer-forged stainless steel barrel and ultra-hard coating on its stainless steel slide and barrel. This high quality material is fully tested and fired under severe conditions prior to dispatch. 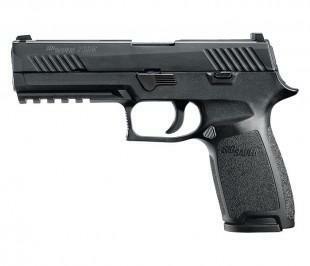 This pistol accepts all military and law enforcement duty ammunition.